Pink Gazelle Productions: Authentic Lives…Authentic Works » Je suis arrivé à Paris! Bonjour! I hope you are doing well and have had a good week! 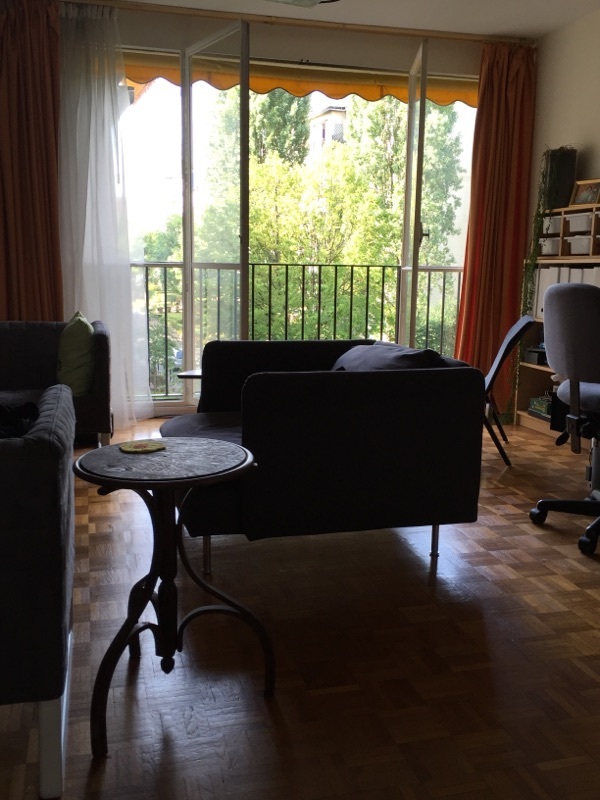 I have arrived in Paris and am now settled into my new digs. The apartment is absolutely delightful! 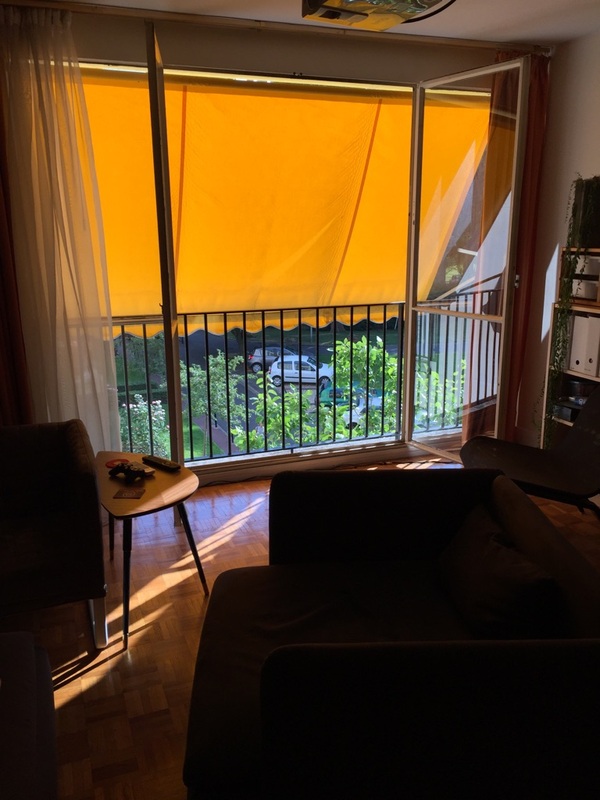 My first day was spent getting shown around Sceaux (pronounced “so”), a lovely suburb of Paris, by the very kind and generous regular occupant of said apartment, Ian (my friend, Trisha’s boyfriend). In true French fashion, we had savory crepes for dinner and sweet crepes for dessert, accompanied by much cider. Délicieux! Then I collapsed into bed…and woke up thirteen hours later to an empty apartment, as Ian had left for the airport. After such a late start – and a couple of espressos made in my cute new kitchen – I decided to stay close to home and get started on my screenplay. 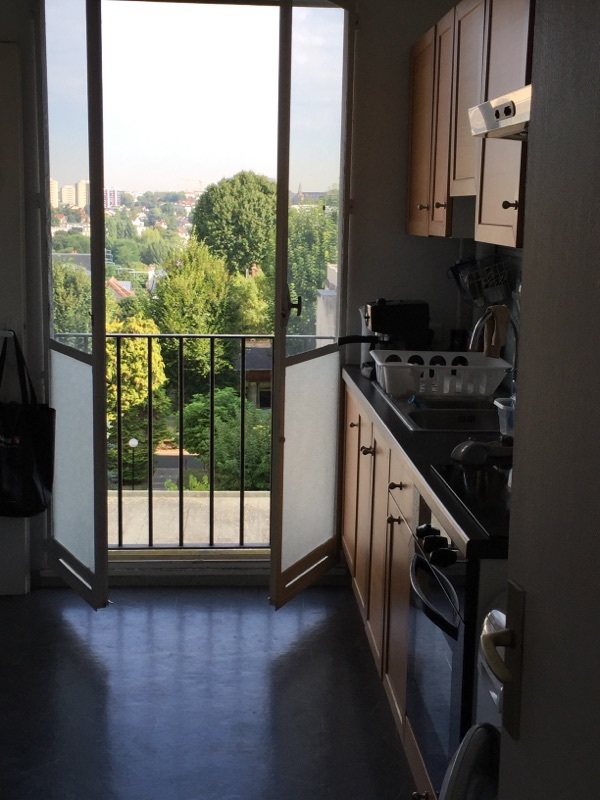 Sceaux is a 20 minute metro ride south of central Paris…I can see the Eiffel tower from my kitchen. Although I haven’t made it to Paris proper yet, I must confess I’m already in Heaven with the cobblestone streets and quaint shops, delectable food, lovely people and beyond beautiful parks. I walked to the town center to get groceries and what a joy! Pain du chocolate and a fresh baguette (still warm!) at the boulangerie (bakery), a bottle of rosé at the wine store, freshly roasted chicken and potatoes at the boucherie (butcher), brie & goat cheese at the fromagery. Can you imagine? 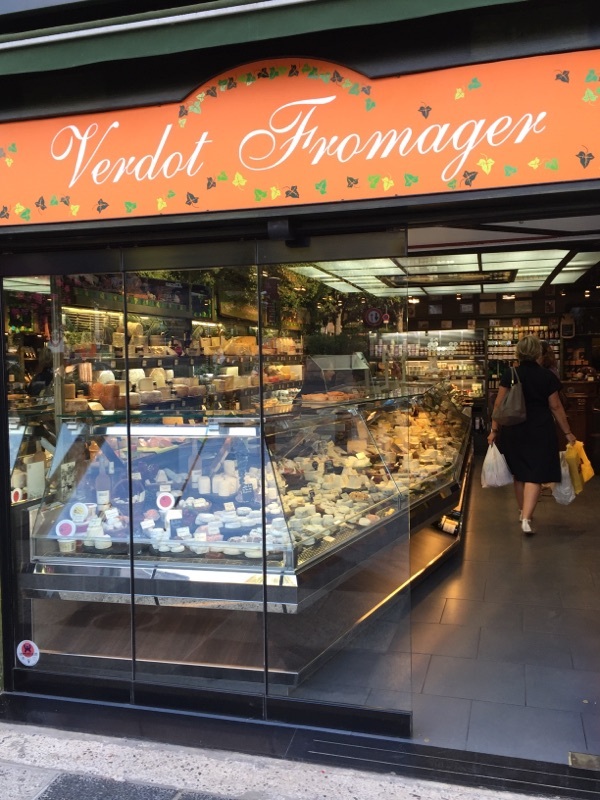 A store full of just CHEESE! 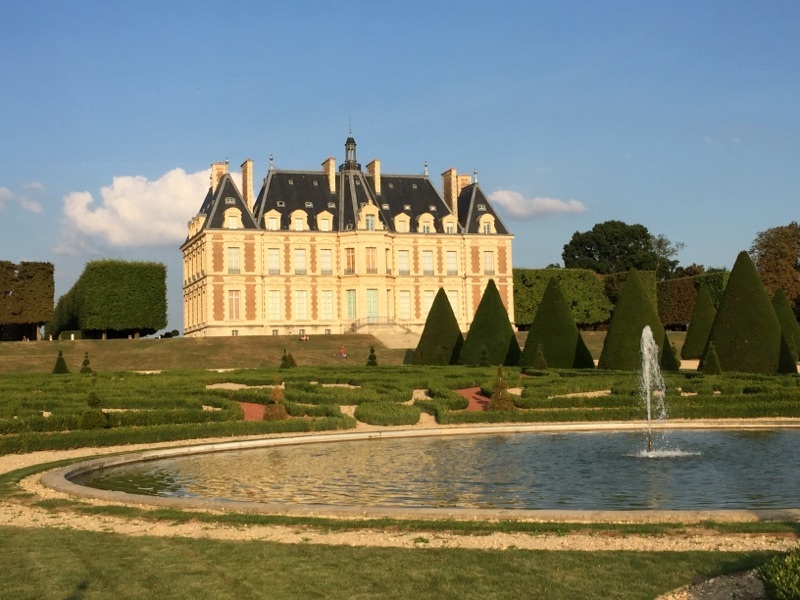 After dinner, I took another stroll through the stunning (and massive) gardens at the Château de Sceaux. The people, I must say, have been very kind. Although my French is pretty shaky, I find that if I at least make the attempt to speak French when I first meet someone, then that sets the tone for a far more positive encounter. But I suspect I look like a deer in the headlights more often than not – for when they say something back to me, nine times out of ten, I don’t have a clue what they’re saying. If you didn’t catch last week’s blog about my writing trip to Paris, here is the link to Je Voyage à Paris! Absolutely fabulous Maryanne. I am thrilled for you. Would love to get together when you return!? Hope you are doing well…see you soon! Oui! Absolutely, Brenda…perhaps we can go for fish & chips near my home – at long last!